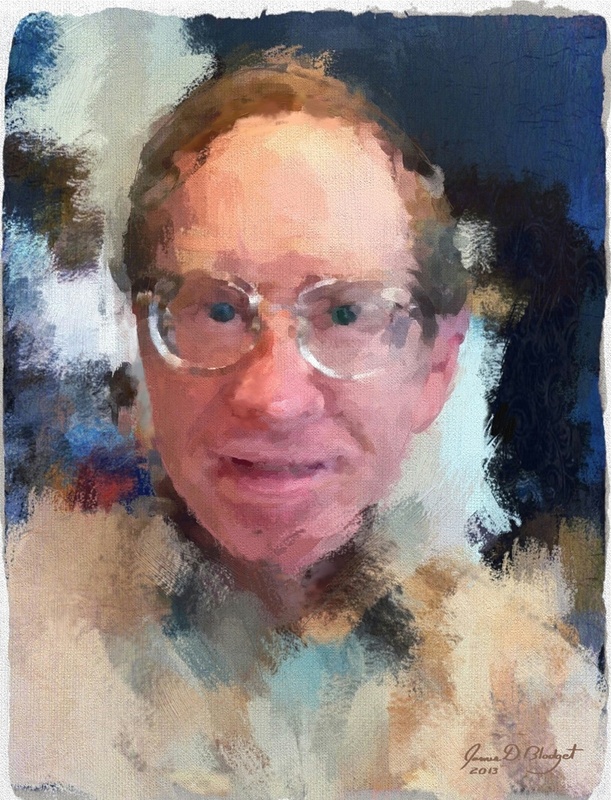 This morning at breakfast I got the urge to try the latest update of the Artists Touch app. I end up using a number of applications to complete this self portrait. First I opened the Artists Touch version in Pixlromatic and altered the color and contrast and added a border. I then opened that version in ArtRage to add the canvas texture and to do quite a bit of added brush work to add detail back into the painting. I added the signature in Procreate, and finally I cropped the image and sharpened it a bit in Photogene.